With Mick off on holiday, Conor and Pearse are joined by Emmet Ryan of action81.com fame. 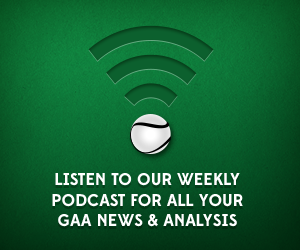 The lads chat about Dublin’s semi final win over Kerry that sealed a place in the All-Ireland SFC final against Mayo. Other talking points include the managerial departures of Kieran McGeeney and Peter Canavan. Find the lads on Twitter here @conorjdonnelly, @MichaelOConnor4 and @CorcoranPears, with Emmet available at @action81. Pingback: Are we there yet?